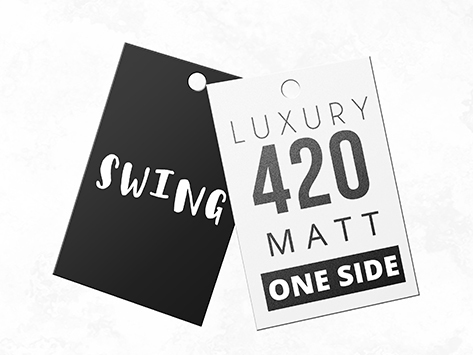 Some swing tags have a secret life as a jetsetting luggage tag or complementary gift tag on corporate gifts. The matt celloglaze finish is an effective option for these kind of uses, as the smooth surface is suitable for hand writing with a pen or marker. Our extensive range of die cuts allow you to be as creative as your desire, regardless of how you’re using the swing tags.